Inspired by True Events. On an American college campus in 1987, three students began playing a seemingly innocent game of contacting the dead. Word spread fast around campus and curiosity grew, expanding the group to more than forty people. Spirits were summoned almost daily, and the dark world's influence began to take its toll as one student fell gravely ill and relationships began to crumble. A OUIJA TRUE GHOST STORY! A #1 AMAZON BESTSELLER INSPIRED BY TRUE EVENTS! On an American college campus in 1987, three students began playing a seemingly innocent game of contacting the dead. Word spread fast around campus and curiosity grew, expanding the group to more than forty people. Spirits were summoned almost daily, and the dark world's influence began to take its toll as one student fell gravely ill and relationships began to crumble. Months later, the dead would be resurrected, and this time there would be Hell to pay. Rachel Thomas was more than happy to leave the haunted house she had lived in for the last decade. She had every reason to be excited about her future as a college freshman entering Riverside Community College. But she had no way of knowing that she would find herself in the terrifying grips of the paranormal again when her new roommate, Josie Norton and her friends began using the Ouija Board. In spite of Rachel's reluctance to join the group's nocturnal ritual of contacting the dead, she finds herself sucked into the drama and a witness to the spirit's malevolent nature as strange phenomena begins happening. Weeks turn into months as Amber Simmons becomes obsessed with the game and her "ghost" friend who assumes the identity of a human being now in the afterlife. As the malevolent spirit continues to control and manipulate Amber, the close-knit friends are terrorized until the Ouija spirit makes one final show of force determined to kill them all! NOTE FROM THE AUTHOR: The Devil's Board is based on true events that happened in the Fall/Spring year of 1987-88. The college campus is located in small town, USA. To this day, the story of Ryan Banks still remains a haunting mystery. All names and locations have been changed to protect the privacy of the institution and the characters of the story. Some parts of The Devil's Board have been dramatized for the sake of storytelling. From the #1 Amazon Bestselling Author comes a paranormal murder mystery INSPIRED BY TRUE EVENTS and starring the real life man known as The Mississippi Mystic, Seymour R. Prater. An otherworldy gift...Like Edgar Cayce, the Sleeping Prophet, Seymore Prater had the gift of clairvoyance. 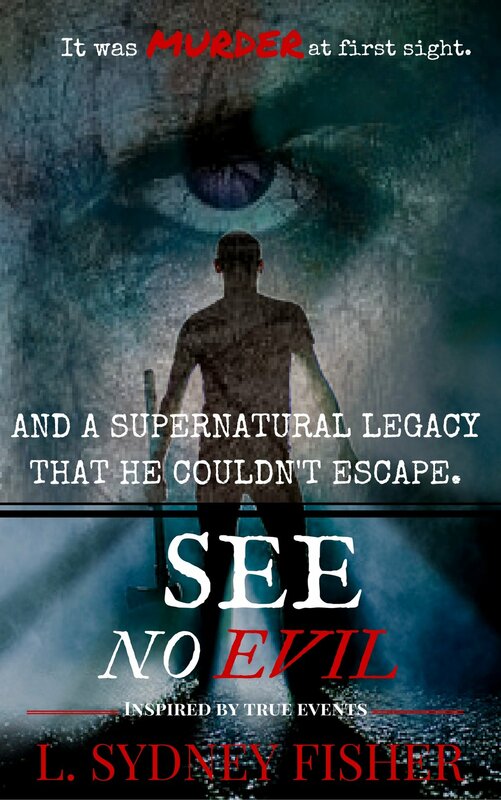 Known throughout the South for his mysterious and miraculous abilities, he could "see" beyond the barriers of time and space- identifying a man's killer, finding stolen objects, and even locating lost people. A profound paranormal legacy...Seymour Prater left behind a supernatural legacy and one unsolved murder that terrified a Mississippi town as the community battled their fears of the living and a dead man's ghost that haunted the 'Old Floyd Place'. An angry spirit...On January 3rd, 1931, Arthur Floyd was murdered in his store in Carrollton, Mississippi. Days later, the deaf man was found still clutching a piece of peppermint candy. When a local black woman discovers the decaying corpse, she becomes tormented by ghostly visits and seeks the help of the African American community to dispel the angry spirit. A haunting mystery...With no eyewitnesses to the crime, Arthur Floyd's killer is destined to be a free man until his brothers consult The Mississippi Mystic. Will Prater's supernatural insight be the final clue needed to solve the Floyd murder? Will answers bring peace to a town ravaged by fear? As Sheriff Baker and the Floyd brothers struggle to solve the case, the sheriff vows that Arthur's killer will be sentenced and hanged by the neck until dead. Note from the author: Do you believe in divine gifts such as prophecy and clairvoyance? Do you believe that some people are divinely appointed? After months of research and meeting relatives of Seymour Prater who were able to confirm other phenomenal accounts of his abilities, I am convinced that Mr. Prater's abilities were authentic. Pay attention to the scenes and the historical information in this story. I have structured the scenes so that the reader has a realistic idea of Seymour Prater's miraculous story and his influence that helped a grieving family find closure for the murder of their brother, Arthur Floyd. See No Evil will always be one of my favorite book projects! A TRUE MURDER MYSTERY WITH A PARANORMAL PROPHECY. Inspired by a true story, The Haunting of Natalie Bradford, Part I & II is the incredible tale of how Natalie Bradford finds herself entangled in a series of prophetic coincidences that foretells her future and reveals her lover's guilt. Prophecy is all around us, but are we paying attention to the messages we are receiving? Denial can be deadly. Are you next? In the afterlife, the spirit of a murdered woman does not rest until her story is told. On December 21, 1974, Liz Bradford was murdered in the front parking lot of the prestigious Rex Plaza located in Elvis Presley's hometown of Tupelo, Mississippi. Her husband, Devon Bradford was also involved in the shooting and transported to North Mississippi Medical Center where he underwent surgery and first crossed Natalie Houston's path. She was his operating room nurse and had no idea that within three years she would be married to the man charged with murdering his wife. A few months later, Natalie Houston finds herself crossing Devon Bradford's path again when she meets him at the same location of his wife's shooting. Devon charms Natalie and she becomes enchanted by his promises of a fairytale life. Convinced of Devon's innocence, Natalie pledges support to the suspected killer after he is granted a second trial by the Mississippi State Supreme Court. But soon after marrying Devon and moving to Lindenwood, the new Mrs. Bradford begins to experience strange phenomena that she cannot explain. Haunted by the ghost of Liz Bradford, Natalie becomes the target of paranormal activity and a string of coincidences that will ultimately paint a picture of what's coming for her. Inspired by a true story, The Haunting of Natalie Bradford is the incredible tale of how Natalie Bradford finds herself entangled in a series of prophetic coincidences that foretells her future and reveals her lover's guilt. Prophecy is all around us, but are we paying attention to the messages we are receiving? Denial can be deadly. Are you next? Note: All names and some locations have been changed. Inspired by TRUE EVENTS! This is Part II of The Bradford Series. In the Spring of 1867, Henry Lynch was tormented by something so evil it killed him. Now over one hundred years later, Natalie Bradford finds herself battling the very same demon that haunted Henry Lynch on the property that she now calls home. The 150-year old cabin holds the truth behind the hauntings, and as Natalie uncovers the past, she exposes a terrifying family secret that has been guarded for over a century. As Natalie becomes a conduit for paranormal activity, she struggles against forces greater than herself until she summons the help of Clara Adams, a natural healer and medium who performs a cleansing ritual to clear the land. During a final showdown with the demon, the truth behind the hauntings is revealed. Inspired by true events, Waking the Dead, is the second part in the series, The Haunting of Natalie Bradford. Remember, denial can be deadly. Are you next? A haunted history series for the ghost lover in you! I want to tell you a story......about a place once called The Devil's Furnace. A place that dates its beginnings in prehistoric times. Where Indigenous people once lived and hunted. A place that's known massive bloodshed......This bloodshed has stained the soil of the landscape and created a portal to another world. It's a world where the souls of the deceased enter and exit at will. Read about the stringy haired ghost woman...... She still roams the streets of this southern town. Find out where ghost sightings are a regular occurrence in haunted buildings and homes. Explore the history of the city known as the Cradle of Rock-n-Roll, Elvis Presley's birthplace...... Discover the many reasons why ghost hunters love the hills of the North Mississippi landscape. If you love history and ghosts, you'll love the first book in this series. Like The Haunted America series by The History Press, L. Sydney Fisher's The Haunted is a historical narrative that explores southern sites with a paranormal past. Let's begin...in Tupelo, Mississippi. And remember... SLEEP WITH THE LIGHTS ON! series for the ghost lover in you! The spirits of famous people…From the likes of frontier legend, Davy Crockett or Ruby Elzy, African American opera singer to Gladys Presley, mother of Rock-n-Roll's legendary King, Elvis Presley, the Mississippi hills of The Wilderness have stories of grandeur to tell. Battlegrounds and Bloodshed…It's a place of new beginnings and heartbreaking endings. A place where battles and bloodshed have weaved a history destined to be retold. And beneath the graves of many left behind lies the bodies of restless spirits who still roam the streets, trapped by the memories of another time. A time in 1836 when The Wilderness was given a new name. Malevolent Spirits Unleashed…Explore the haunting tales of ghosts and paranormal phenomena in this second volume in the series. Experience the terror of The Devil's Den, a site once investigated by Taps of Alabama and a place where even the skeptics cannot deny its malevolent force. If you love history and ghosts, you'll love the second book in this series. Like The Haunted America series by The History Press, L. Sydney Fisher's The Haunted is a historical narrative that explores southern sites with a paranormal past. Let's continue in The Wilderness. Get the story of the overnight investigation conducted here and find out why Sydney considers this to be some of her most convincing research yet. Visit some of the most haunted sites of the South in historic Columbus, Mississippi. Known as a hospital town during the Civil War, this city's collection of antebellum treasures is one of the largest and most well preserved in the South. The Princess Theatre, Old Waverley Mansion, and Friendship Cemetery are just a sample of the sites you'll read about as clairvoyants visit here and report their findings. Help Sydney solve the mystery of Friendship Cemetery's ghost soldier whose name may be Daniel Welch. And for the paranormal finale, read about the sanitarium in Amory, Mississippi known today as The Amory Museum where a young patient still pleads for help as visitors pass by his now empty bed. INTRODUCING THE CELESTIAL SERIES…an introduction to THE LIGHT. MEET SERGEANT MAJOR SETH PHOENIX. A series that spans the United States Military’s paranormal research from the Reagan Era to the Clinton Administration. A series that highlights the United States Military’s paranormal research from the Reagan Era to the Clinton Administration. Paranormal research by L. Sydney Fisher, author and Amazon Bestseller. Books on politics, military history, terrorism books, supernatural thrillers, and intelligence espionage books. Spy thrillers. A Supernatural Thrill RIde inspired by the U.S. Military's Stargate Program!